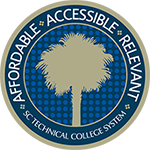 Across the state, our colleges deliver high-quality, cost-effective continuing education training both on-site and on-campus. This training can be custom-tailored to meet the specific needs of the industry. Our colleges’ continuing education departments are the designated providers of training to keep our state’s existing workforce up-to-date with changing technology and to ensure its continued competitiveness in global markets. For more information or if you would like a college representative to meet with you to identify your training needs, contact the college nearest you.